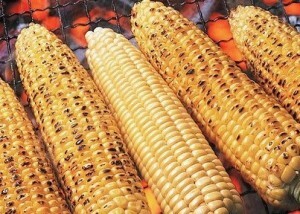 Looking at the grilling corn on stove make you feel warmer in cold winter in Hanoi! 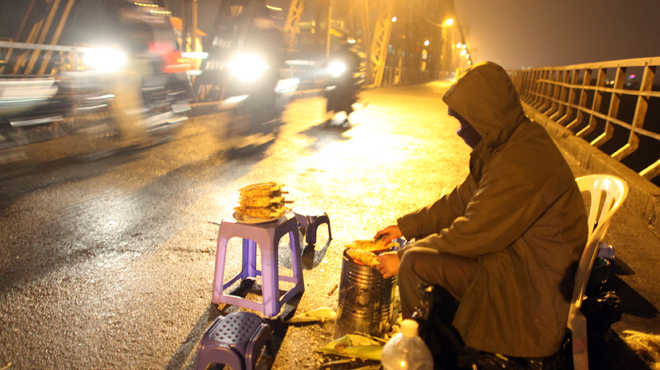 It’s really cold at night in Hanoi, not like anywhere – the cold in Hanoi have unique feeling, that’s the cold inside everybody. It’s amazing why corn is grown in the winter, maybe to bring a little warm to people. And grilled corn become a favourite snack of Hanoi. 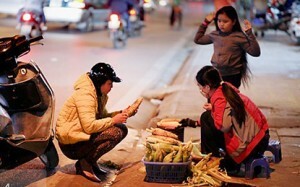 When the winter is coming, many grilled corn vendors are sold near streets. The women with corns, a charcoal stove and sitting near side walk. I often go with my ex on Long Bien bridge to enjoy grilled corn. On the bridge, it’s windy make we are colder but it’s so happy to hug her, sitting near the stove, talk and waiting for snacks. For eating grilled corn is not like normal, you should take some seed of corn by hand then eat. See the Chuong Duong bridge and talk each other. Grilled make we are warmer and closer.